Perfectly charming two bedroom, two bath detached condominium in one of the nicest areas of the Lake. This is resort style living at its finest! If you happen to be retired or still working, this would be the finest way of living one could imagine. No more mowing the lawn or picking out weeds or painting the outside. All is done for you on the outside - the inside is yours to stage! The neighborhood is quiet for your pleasure also this property has a very nice view! 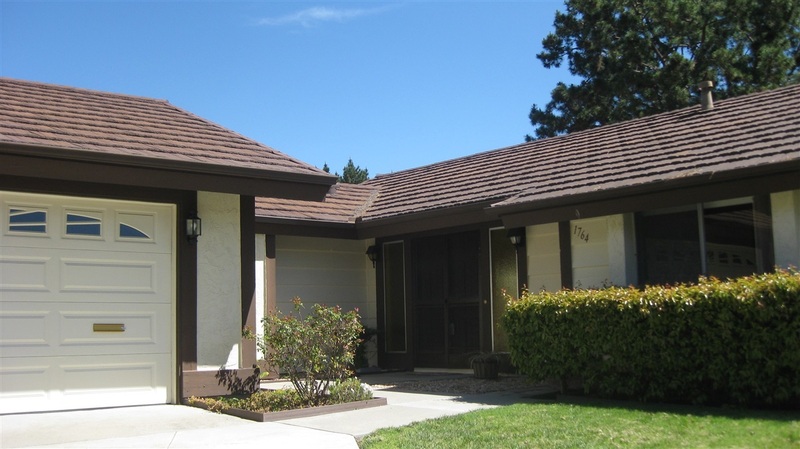 Looking for an offer soon!, Hunter Valley is one of the most sought areas in Lake San Marcos. The location is perfect - 6 miles to the beach - Lego Land is nearly as close - Restaurant Row is right around the corner - Edwards Cinemas is next store. Shopping in Carlsbad or The Forum or Escondito - everything is near! This little cottage-style home is perfect for those who just want to sit back and relax. All of the work has been done for you - and will continue to be done for you - the inside is yours and the outside is the Home Owners Assn. So, no worries about leaking roofs, peeling paint just wonderful a great place to be!